The Ukrainian government has released recordings of alleged phone calls between pro-Russian separatists discussing the fate of Malaysian Flight MH17’s black boxes. Ukrainian security officials released the tapes on Sunday, claiming that they proved Russia had directed the separatists to find and hide the black boxes. “Do it really quick, urgently. Moscow is asking where the boxes are… [they] must be under our control”. Earlier this morning, the news service Interfax reported that rebel Russian separatists in Ukraine had handed over the black boxes to Russia’s Interstate Aviation Committee. So it seems that the black boxes are on their way to Moscow, if they’re not there already. This will definitely raise a lot more suspicion about Russia’s involvement in the MH17 tragedy. But, for the sake of objectivity, it is definitely worth noting that these tapes have not been independently verified yet, and are being released by the Ukrainian government, who has every reason in the world to want Russia to be responsible for the tragedy. That doesn’t mean I believe the tapes are fabricated- it’s just a reminder to tread carefully when trying to make sense of such a complex issue. 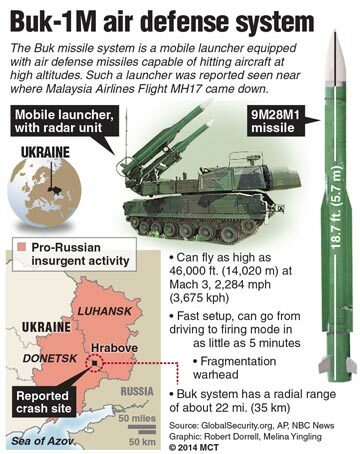 On Thursday, Malaysian flight MH17, headed to Amsterdam from Kuala Lampur, was shot down by a surface to air missile over Ukraine. All 298 of the passengers were killed. As information started to come out, it became apparent that the missile that took the plane down came from an area controlled by pro-Russian separatist forces in Eastern Ukraine. These pro-Russian groups refused to recognize the new government in Kiev after the Ukrainian revolution and have established strongholds in a number of cities on Ukraine’s eastern border with Russia. Although the separatists have denied responsibility, much of the evidence points to them. Also, the fact that they are denying investigators access to the crash site while looters steal cash, credit cards and jewelry from the victims doesn’t seem to support their cries of innocence. It is no secret that the separatist groups have the support of Russia, and many people think Russia holds some of the responsibility for the disaster. The main reason for this is that the missile used, an SA-11, requires a very complex weapons system operated by highly-trained personnel. Then, yesterday evening, a Twitter bot added another piece to the story. The bot, @RuGovEdits is basically a Russian version of @CongressEdits– it informs people any time a Wikipedia page has been edited by a Russian government IP address. The Russian Twitter bot announced yesterday that the Wikipedia page for flight MH17 had been edited by the Russian government. What was changed? Russia has maintained that they were not involved in the tragedy and that the flight was brought down by Ukrainian forces, but this new revelation definitely raises questions about the truth of that statement. Petro Poroshenko is Ukraine’s new president, elected after a popular uprising that overthrew the former president Viktor Yanukovych and his regime. The uprising was a reaction to Yanukovych’s decision to turn down offers to join the EU in favor of closer economic ties with Russia. The United States, close allies with the EU, enthusiastically supported the overthrow of Yanukovych and the election of Poroshenko, a pro-EU candidate. But the more time goes on, the more it seems that the U.S. government may have played a bigger role in the Ukrainian uprising and aftermath than they would have us think. Classified cables posted to the website wikileaks.org reveal that Poroshenko was on the payroll of the U.S. State Department as early as April of 2006. Poroshenko was one of the leaders of Our Ukraine or OU, a major political party in the country- the wikileaks cables refer to him as the U.S.’s “Our Ukraine insider”. Crimea, as you know, is the disputed peninsula in the Black Sea which Russia occupied early on during the Ukrainian revolution. These revelations, though not damning, are certainly suspicious at the very least. It’s very hard to imagine that Poroshenko won the Ukrainian presidency without any help from the U.S. after seeing that he has been providing the U.S. with insider information on Ukraine since 2006. Some argue that Poroshenko’s work for the U.S. was an act of treason, since it’s extremely likely that some of the information provided by him was used to help oust Yanukovych back in February. 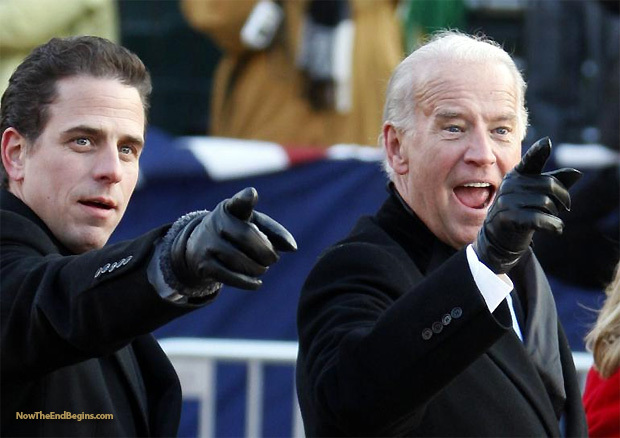 Combine these revelations with that the fact that Hunter Biden, Vice President Joe Biden’s son, was selected to the board of Burisma Holdings (Ukraine’s largest private gas producer) in May, just a month before Poroshenko was inaugurated into office, and things start to get really fishy. 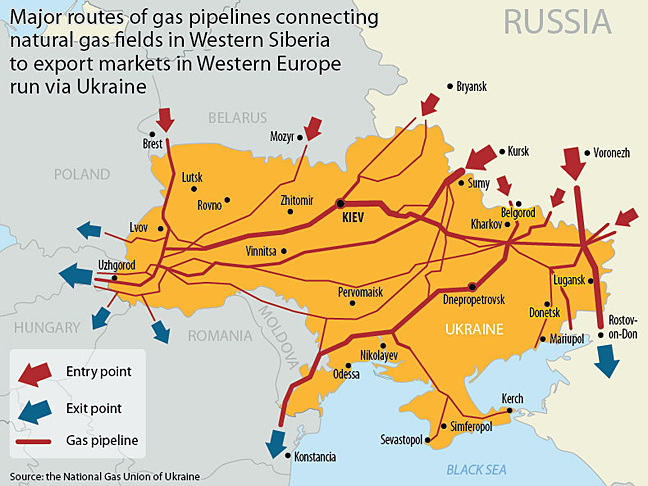 Ukraine has Europe’s third-largest natural gas reserves at 42 trillion cubic feet, and the country’s pipelines are a major gas route between eastern and western Europe. It makes sense that the U.S. and the EU would do everything they could to hold onto it. Read the original story from SGC News here. The three-man crew of American astronaut Reid Wiseman, German Astronaut Alexander Gerst, and commander Maksim Suraev of Russia’s Roscosmos space agency departed from Earth yesterday (5/28) headed for the ISS. Ahead of the launch, the astronauts took questions from the media. One member of the media asked how the recent events in Ukraine affected the astronauts, seeing as Russia’s relations with Germany and the U.S. have been very strained since the turmoil began. The three men have built a strong friendship over the years while training together. said Gerst in response to a question from a German journalist. They took this selfie during the interview to reiterate their unity. The three colleagues and friends have actually taken a number of other awesome pictures together over the years, including these two. The crew will spend six months aboard the ISS and will return in November. Read more from RT here. Dmitry Rogozin, Deputy Prime Minister of Russia, is among the list of Russian officials who the U.S. has economically sanctioned in response to the situation in Ukraine. 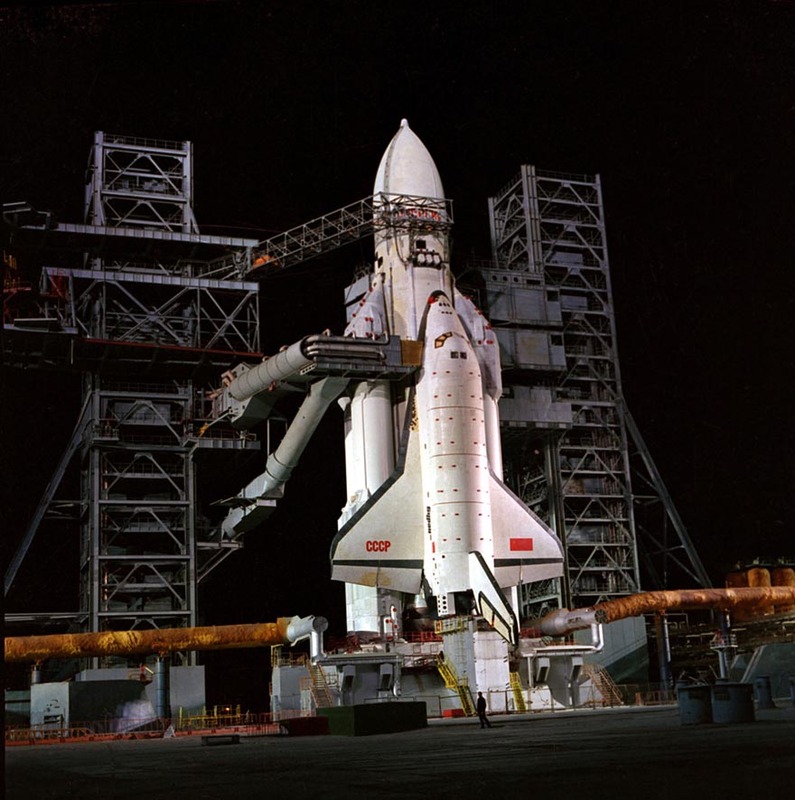 If you were unaware, we have been paying the Russian space agency to launch our astronauts up to the International Space Station ever since NASA ended the American Space Shuttle program in the summer of 2011. Read more from NBC here. 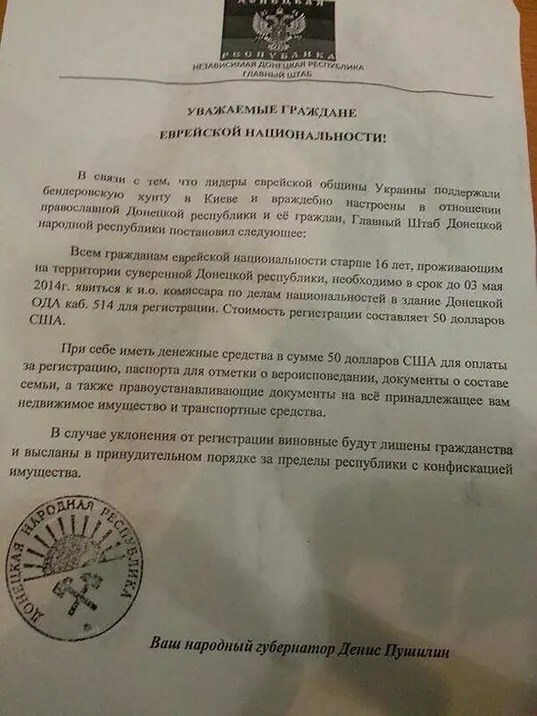 You may have seen news earlier today that a flyer circulated in the east Ukrainian city of Donetsk stated that Jews in the area would have to register with the local authorities. It prompted an immediate response across the globe. John Kerry, who was just finishing up talks of de-escalation with leaders from Russia, Ukraine and the European Union in Geneva, Switzerland, called the leaflets, “intolerable”, “grotesque”, and “beyond unacceptable”. Lesley Weiss is the deputy director of the National Conference Supporting Jews (NCSJ), an organization which focuses on promoting the right of Jewish people in eastern Europe. The organization spoke directly with jewish leadership in the area, who informed them that the flyers were fake: no one had to register and no one would be deported. 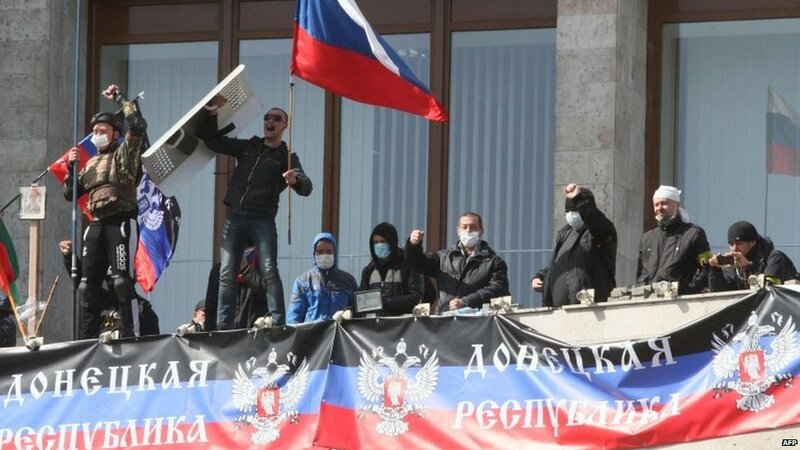 Officials from the United States believe that the flyers were the work of the Donetsk People’s Republic, an unrecognized pro-Russian Separatist group that seeks to make Donetsk a part of Russia. Their leadership denies responsibility, however. Read more from The Daily Dot here and from CBC News here.